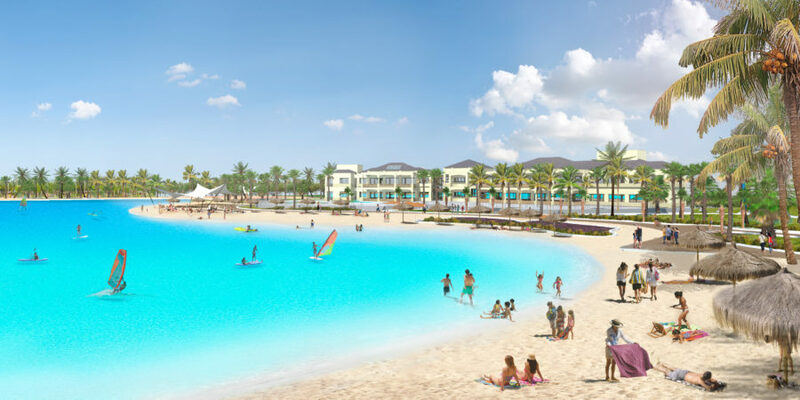 A 14-acre Crystal Lagoon will be built as part of Twin Creeks, a master-planned community under construction on County Road 210 between Interstate 95 and US Highway 1. Crystal Lagoons partners with real estate developers, industrial institutions and governmental entities to provide licensing for its innovative technology with applications that range from recreational to industrial and more. Encompassing approximately 3,000 acres, when built out Twin Creeks will include more than 3,000 homes, retail and commercial space, office space, two schools and numerous parks and waterfront dining, retail and an upscale single-family home community with private beaches on the northern side of the community. Crystal Lagoon’s sustainable technology creates large-scale, Caribbean-style beachfront recreational locations anywhere in the world. Crystal Lagoons are ideal for swimming, kayaking, paddleboarding and sailing in a safe and fun environment. The first Crystal Lagoon was built 17 years ago in San Alfonso del Mar, Chile and quickly became the most successful second home resort in the southern hemisphere, surpassing competition and selling units at much higher prices and at unprecedented rates. 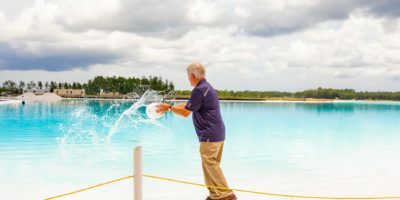 According to Crystal Lagoons, their lagoons use 30 times less water than a typical 18-hole golf course and 50 percent less water than a park of the same size. Crystal Lagoons can use almost any type of water: fresh, salt, brackish, well water and more since its technology uses disinfection pulses that allow using up to 100 times less chemicals than swimming pools and also uses an ultrasonic filtration system that allows using up to 50 times less energy than conventional filtration systems. 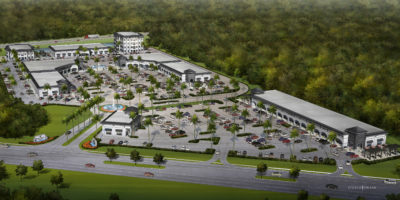 The Twin Creeks development will feature one of several Crystal Lagoons projects in Florida; a development called Epperson Ranch in Pasco County will be the first to open later this year. Visit http://www.crystal-lagoons.com/ for more information. Artist’s rendering of the proposed Crystal Lagoon at Twin Creeks on County Road 210.